Aniise Natural Makeup Beauty Blog | Makeup Tips & Tutorials – tagged "beauty"
﻿The trees that were once green are starting to replace their bright hues for more golden tones as we welcome Fall and the pumpkin spiced everything! Fall is officially here and as we step into the cozy sweater weather and holiday dinners, we wanted to share some of our favorite fall 2016 beauty trends, make a statement at your next holiday party by trying one of the trends listed below! 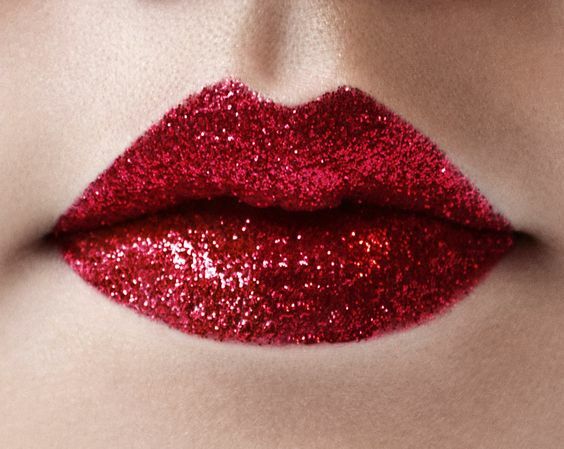 Probably the most selfie-worthy trend in our list, the infamous glitter lip. This is a trend that’s been circulating some of the most popular beauty Instagram profiles as of lately and is taking the cosmetics industry by storm. This trend was initially worn by the one and only Keyshia Kaoir, a fellow beauty creator whose focus is creating AND wearing some of the most innovative lipsticks out there! But the glitter lip trend didn’t stop with Keyshia, in fact the glitter lip is now gaining traction and lately has been blessing runways! These ‘glitter lip’ kits can cost a pretty penny, which is why we’ve provided some suggestions below using Aniise Cosmetics to achieve a similar look. We are looking forward to seeing many of YOU using some of our iconic liquid lipstick colors for this ‘glitter lip’ trend. Bronze - Give this 'glitter lip' trend a unique twist by using our highlighter and bronze duo to create dimension and add a bit of glitz to your lips. Shop the duo here. 'Berry Latina' - We recommend using a fun yet dark color for this look. We recommend using our Pro Matte Liquid Lipstick in 'Berry Latina', you can shop the shade here. Stand out from the crowd! Let your eyes do the talking with this bold look. We love this trend in particular because it’s the perfect statement accessory without being too overwhelming OR uncomfortable. Dare to be a little daring. Eyeliner - Referred as the 'blackest of blacks' liners our there, our eyeliner is the solid foundation for any bold liner look you are looking to achieve. You can shop our eyeliner here. Eyeshadows - To add a little bit of oomph to the bold liner look, we recommend adding a bit of color with our 15 shade, eye shadow palette, which you can purchase here. You can say that Rihanna has had a major influence over this particular trend, some other celebrities that have had impact on this look are now Bella Hadid and underground electronic scene queen Venus X. It’s almost too difficult to NOT fall in love over the chic combination of a dark lip and daunting eyeshadows. Bronze - Bronze adds just the perfect amount of glitz to any look, especially when contrasting dark colors, as seen in this look. You can shop our highlighter and bronzer duo here. Eyeshadow - Darker colors are recommended for this particular look. Browns, dark reds, grays and blacks are the ideal base color to achieve the perfect edgy eye. You can shop the 15 shade eyeshadow palette here. 'Berry Latina' - Complete your modern gothic look with the perfect dark lip. Our Pro Matte Liquid Lipstick in 'Berry Latina', offers just the right amount of edgy and chic. You can now purchase our Pro Matte Liquid Lipstick in 'Berry Latina' here. Got a trend you would like for us to feature next? Tag us on social!